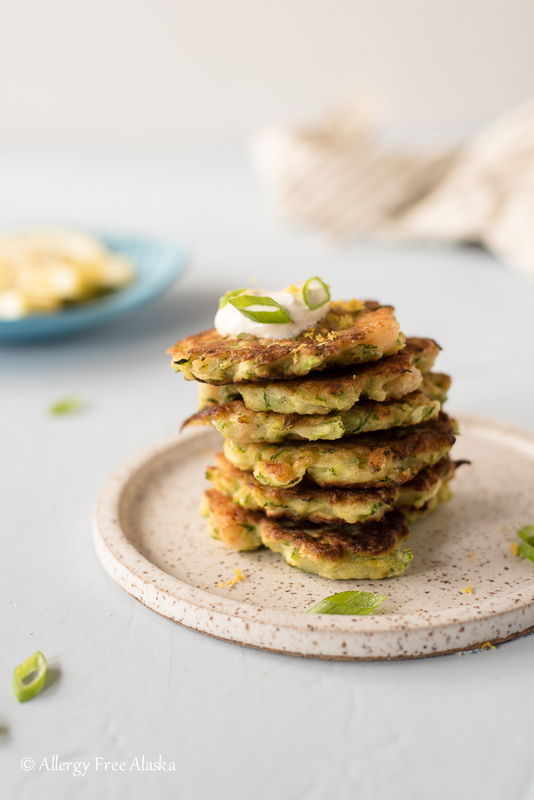 Do you have leftover zucchini in your garden? Or are there beautiful zucchinis available at your local farmer’s markets? 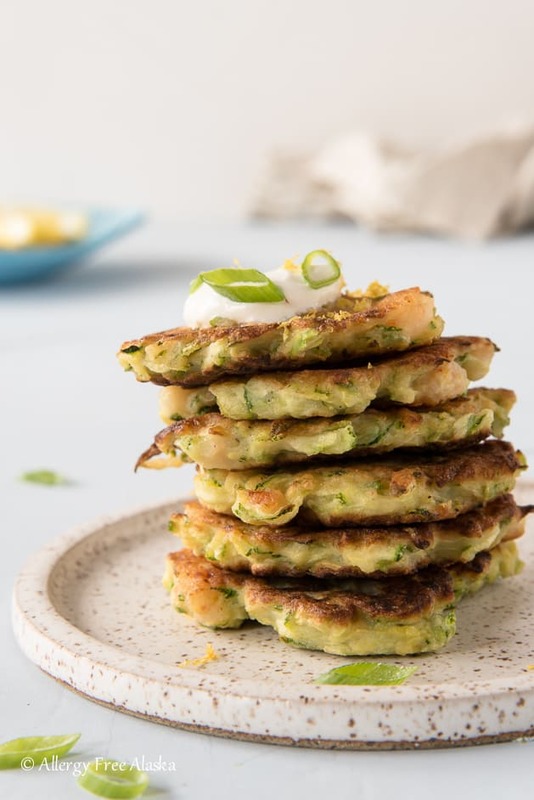 This recipe for Gluten Free Zucchini Shrimp Fritters is the best way to use them up! 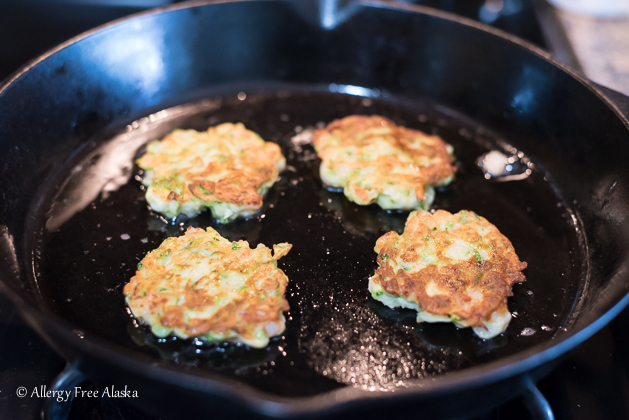 The very first time I had zucchini fritters, my SIL, Rochelle, made them for us. AND she made them gluten and dairy free. I was totally addicted at the first bite. The recipe she used called for lemon zest. Not an ingredient that I would automatically think of when creating a fritter recipe, but surprisingly, it totally worked. In fact, it made the flavors in the recipe pop! So when I went to create my recipe for Gluten Free Zucchini Shrimp Fritters, I knew using lemon zest was an absolute must! And so was shrimp. Prior to going gluten free, my MIL would make amazing shrimp fritters. They had shrimp and all kinds of veggies in them. They were one of my favorite things she made. 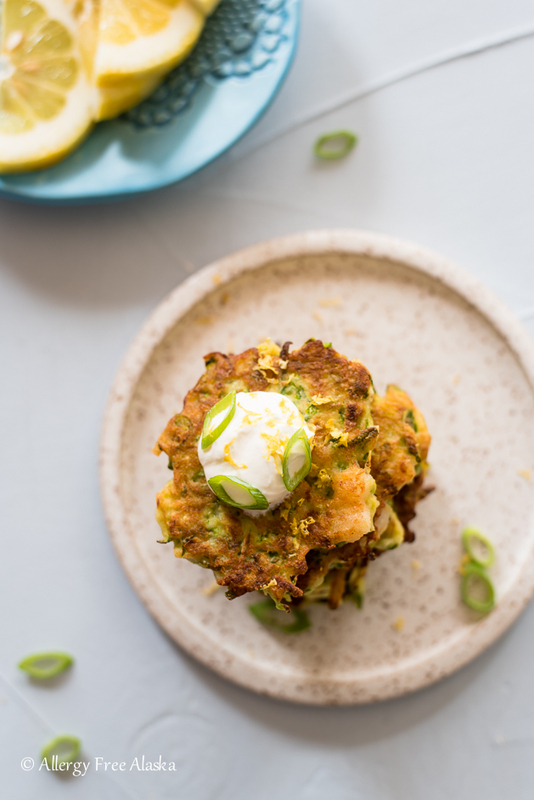 Combining a fritter with a variation of the 2 recipes just seemed like a no-brainer. You’ll notice I call for King Arthur Gluten Free All Purpose Flour in this recipe. This is the first time I’ve ever called for an all-purpose blend (that hasn’t been a sponsored post) in any of my recipes. Moving forward in future recipes, I may use a blend from time to time, but I promise, it won’t be something I’ll regularly do. So please don’t panic, because overall, the way I cook/bake will not be changing (I normally call for individual gluten free flours). I like to use ghee for frying, but if you prefer to use coconut oil, I recommend using a partially refined one. It seems like the coconut flavor isn’t as powerful in refined coconut oil vs. using an unrefined one. If you can’t use King Arthur Gluten Free All Purpose Flour, try replacing the 1/2 cup of flour with a combination of tapioca starch, sorghum flour, and millet flour/or brown rice flour. If you have a shellfish allergy, these fritters are also super yummy without the shrimp. Keep the recipe exactly as written, just omit the shrimp. It’s super important to use a pan that you can get a nice, crispy outside with, which is why I use my 12″ Lodge cast iron pan. If you don’t have a cast iron pan, I’d seriously consider investing in one (I use mine ALL. THE. TIME.). I know you guys will enjoy these! I eat them straight out of the pan (or as soon as they are cool enough to inhale). 😉 They are a special treat for sure! Wash and grate the zucchinis. 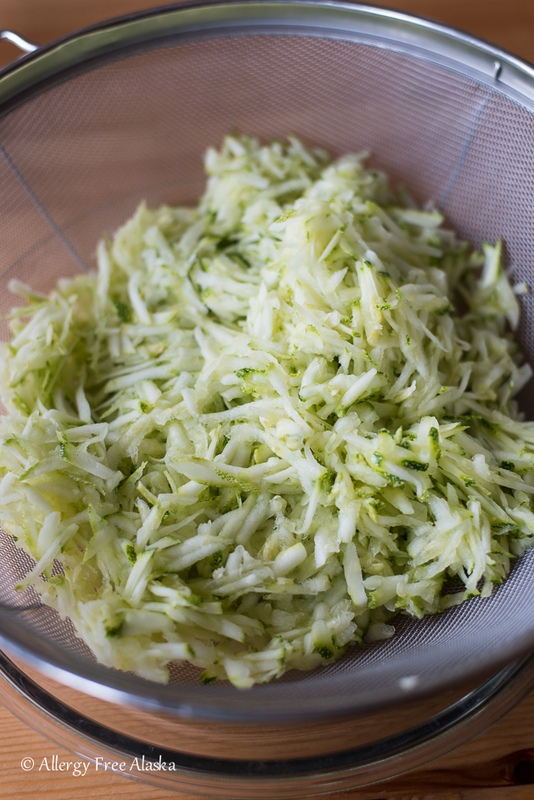 Place the grated zucchini in a fine mesh colander and mix in the sea salt. Place a bowl underneath the colander and set aside for at least 35 minutes to allow the salt to pull the moisture from the zucchini. Grab fistfuls of zucchini and gently squeeze some of the excess moisture from it. Keep in mind, you don’t want to completely squeeze out all the moisture, just a little bit more of it. 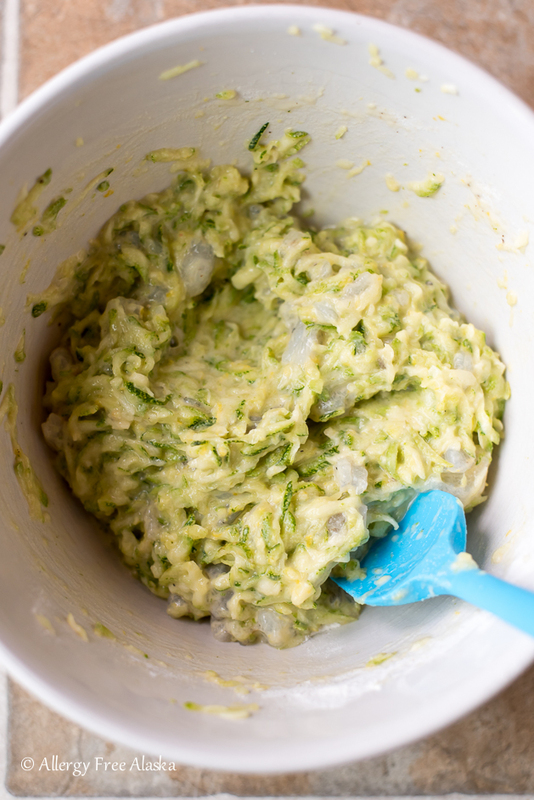 Place the squeezed out zucchini in a medium sized mixing bowl (discard the liquid). Taste the zucchini and season with more sea salt and fresh grated black pepper to taste. Stir in the lemon zest, minced garlic, egg, King Arthur Gluten-Free All-Purpose Flour, and the chopped shrimp. Heat 2 tablespoons of oil in a 12-inch cast iron skillet over medium heat. 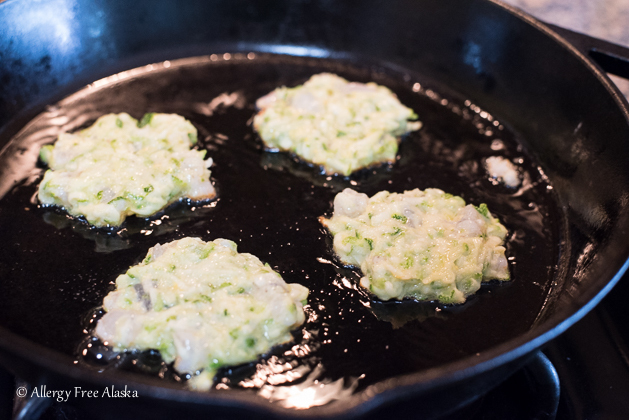 When the pan is hot, use about 2 tablespoons of the zucchini mixture for each fritter, flattening into 2.5-inch rounds. Space the fritters a few inches apart. Cook fritters until golden, about 1 to 2 minutes on each side. Add more oil to the pan as necessary. Serve immediately. I like to use ghee for frying, but if you prefer to use coconut oil, I recommend using a partially refined one. It seems like the coconut flavor isn't as powerful in refined coconut oil vs. using an unrefined one. If you can't use King Arthur Gluten Free All Purpose Flour, try replacing the 1/2 cup of flour with a combination of tapioca starch, sorghum flour, and millet flour/or brown rice flour. It's super important to use a pan that you can get a nice, crispy outside with, which is why I use my 12" Lodge cast iron pan. If you don't have a cast iron pan, I'd seriously consider investing in one (I use mine ALL. THE. TIME.). Your recipes all look so delicious!! 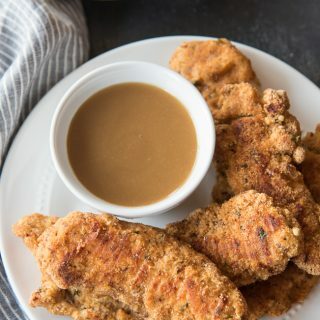 As someone on keto, I’m always looking for yummy treats that still fall into that keto approved category. I’m not sure if this one does, but it sounds so tasty, I’m willing to seek out the ingredients to find out! 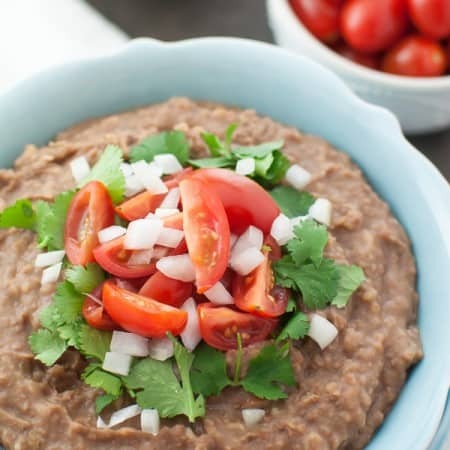 Keep up these awesome recipes! Thanks Raia! I love it so much too! These look utterly amazing!! 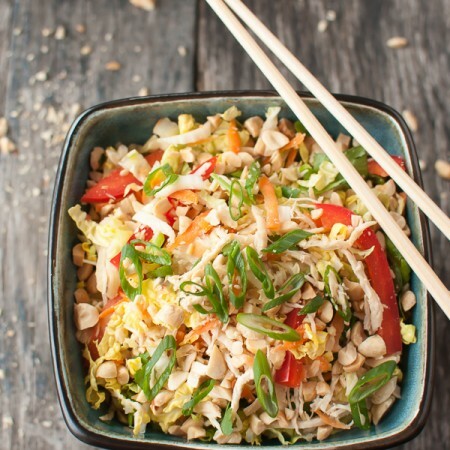 The crispy texture…the veggies AND protein! I need these in my life!! I bet crab would be good too! Maybe diced cod too? Ohh! Love your idea of crab, Tessa! 🙂 Thank you! I can see why you’d eat them straight from the pan….they look so good! Thanks Nicole! Wish I could share a few with you!